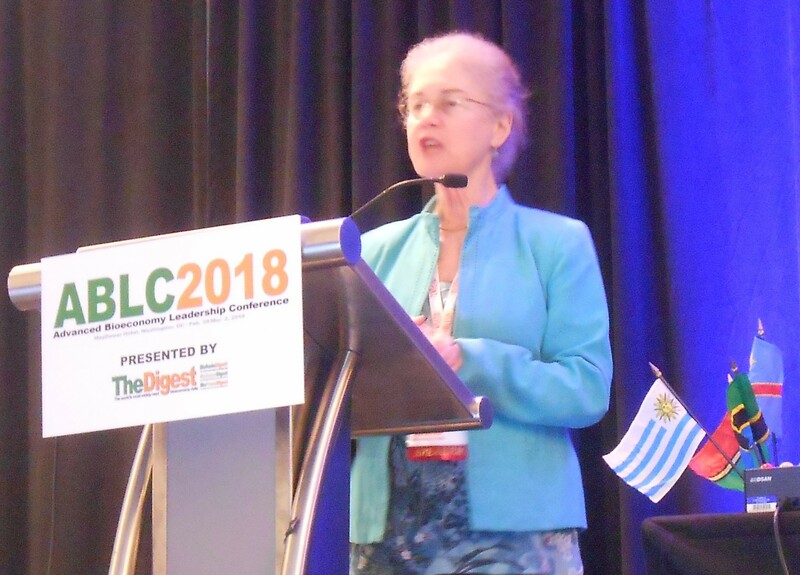 by Joanne Ivancic* (Advanced Biofuels USA) “A smidgen more hopeful that it has been for a few years,” said one advanced biofuels industry long-timer. “I don’t understand why it feels so pessimistic,” asked an attendee from the EU, noting that pessimism contrasts with the optimistic news during presentations about technological developments in the US and abroad. He shared a more positive outlook on the potential for and need for biofuels in light of COP21 commitments around the world. These comments came during discussions at the Advanced Bioeconomy Leadership Conference held February 28-March 2 in Washington, DC. Certainly part of the pessimism stems from the constant fights for tight Renewable Fuel Standard enforcement that would pressure Big Oil to diversify into renewable fuels and to shrink its transportation fuels market to accommodate biofuels. And, the atmosphere was certainly charged by the current battles in those conflicts being fought just blocks away at the White House. 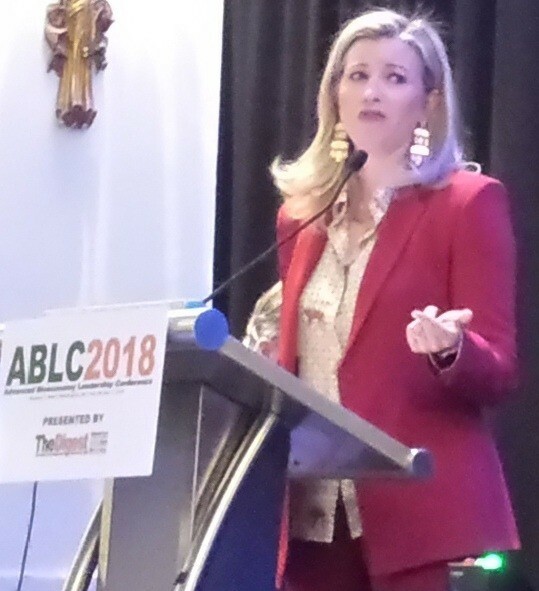 When colleagues at the conference are preparing for biofuels industry representatives to attend meetings, not just at the White House, but with President Donald Trump, there’s an air of excitement, perhaps even anxiety. As with many things happening at 1600 Pennsylvania Avenue, these meetings were somewhat unprecedented. One person claimed to have heard staff at the White House say that soon there would be no RFS. Also, maybe, as Michael Egglestong Advanced Biofuels USA correspondent in Germany, has noted, those looking from the outside can see things that those inside might miss. 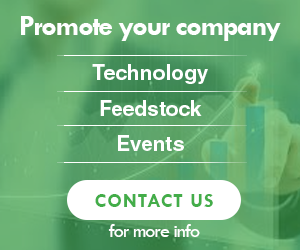 Many of us did take notice at the Wednesday evening “get to know the industry” meetings that more venture capitalists identified themselves in the audience than we have seen for quite a few years. Also, engineering firms that had been relatively scarce at recent DC conferences seemed to sprout out of the nicely carpeted floors, looking for business. And there was a healthy complement of attendees from other countries. When asked what brought him to the conference, a business development professional from a company that manufactures highest quality pharmaceutical fermentation equipment said that his company had gotten an extraordinary number of calls from the biofuels industry for quotes on equipment. He came to figure out more about this industry and to determine what would be the most appropriate type of product and quality level for this market. The train has left the station. And it will be fueled renewably and sustainably. Along with heavy duty trucks, ships, planes, buses and automobiles. The RFS is important, especially for rural US economies, and many find it worth fighting for; but with or without it, the world moves toward renewable fuels and energy, towards providing sustainably grown food and fuel and fiber. 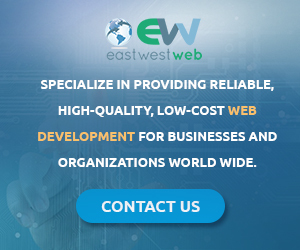 Tech transfer to industrial and developing countries by US companies that find little support here was in the air. As in, serious conversations about international business opportunities, presentations about Asia as the place where “things are happening,” looking to develop agricultural resources in Australia and Africa. Notice the flags of nations decorating the sessions. Well-intentioned advocates care about seeing fuels produced, from seed to engine, as efficiently, affordably and sustainably as possible. Perhaps, people will stop suspecting that those on the irrational fringes of this reasonable demand are funded by well-healed interests that actually oppose any alternatives to existing petroleum, natural gas, fossil fuel and extraction/mining-based mobility. 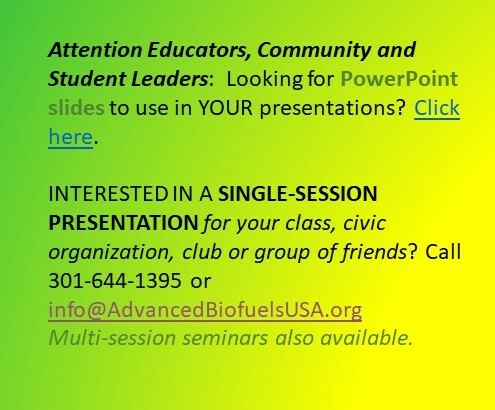 This conference hosts a group of “doers.” From inspirational speeches like that given by Lanza Tech’s extraordinary Jennifer Holmgren after accepting Biofuels Digest’s Global Bioenergy Leadership Award to the incorporation of sustainability in every presentation, every technology, every feedstock consideration; people at this conference don’t just make noise, they make science and they make product and they make policy to try to put into effect the best intentions of the caring noise-makers around the world. 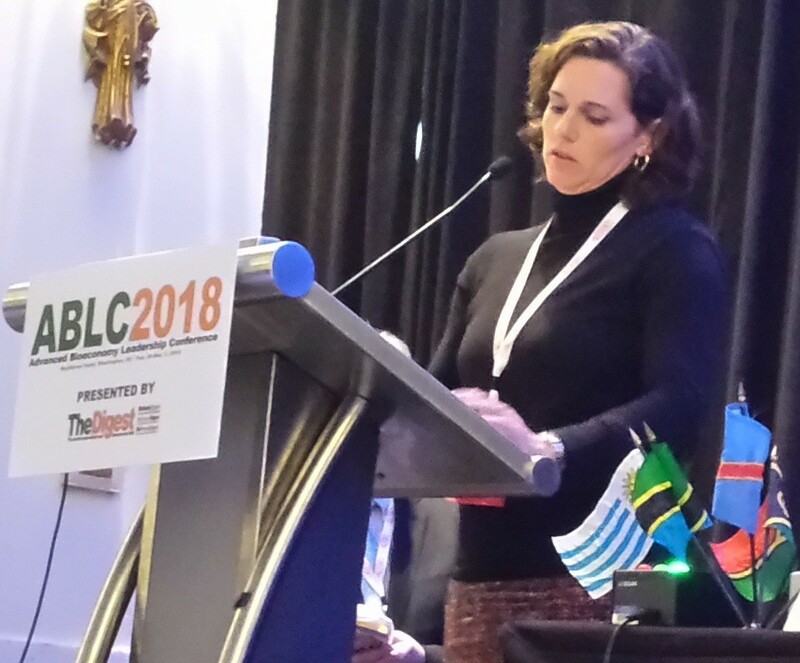 Joelle Simonpietri provided a cutting, blunt analysis of the financial games that led to the bankruptcy of Carlyle-backed Philadelphia Energy Solutions refinery; as opposed to blaming it on the RFS as was taking place at White House meetings. It is not easy. Thus, the smidgen of hope that things are looking up for the environmentally conscientious aspirations of this conference; and that the underlying caution, fighting off pessimism, and vigilance against defeat, remain necessary. There’s faith and belief that this group can achieve the best, regardless; that policy-makers, decision-makers and the general public will come to understand the benefits of biofuels and a robust renewables-based economy. But, supportive policy, higher oil prices, a price on carbon and enthusiastic political leadership sure would make it easier. 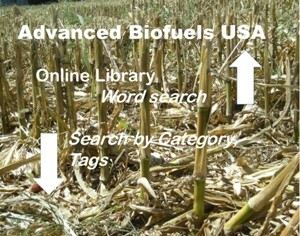 *Joanne Ivancic serves as executive director of Advanced Biofuels USA. 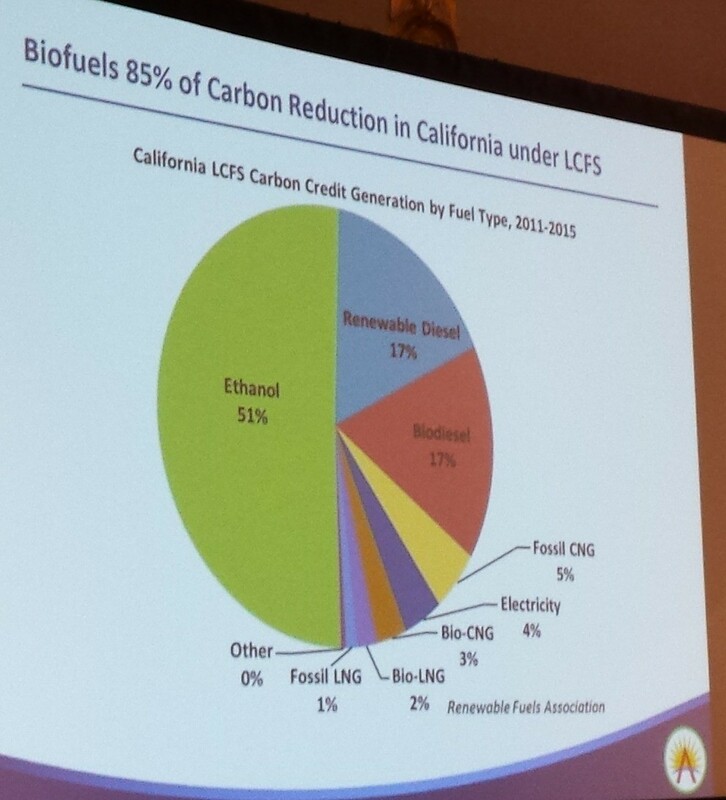 85% of carbon reduction in energy from California’s Low Carbon Fuel Standard comes thanks to biofuels.